Although the former IBP Inc. has been a unit of Tyson Foods for 17 years, Dakota Dunes, S.D.-based Tyson Fresh Meats has traditionally been more closely associated with that precursor company than with its even higher-profile Springdale, Ark. parent. The country’s largest meat processor is aiming to change that, though, with a rebranding effort aimed at raising the profile of its Tyson Fresh Meats Team among customers and consumers. Tyson Fresh Meats’ marketing message — The Tyson Fresh Meats Team: The Beef and Pork Experts — will make its official debut at the Annual Meat Conference later this month, but Meatingplace had the chance to talk to Vice President of Marketing & Premium Programs at Tyson Fresh Meats Kent Harrison about the campaign. Meatingplace: What are the drivers behind this effort at this point in time? HARRISON: We know from research that we’ve done that people associate [the Tyson Fresh Meats business unit] with IBP although we’ve been part of Tyson a long time. 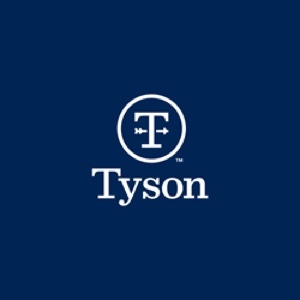 Now we’ve got a groundswell of new decision-makers coming into grocery and foodservice that understand that Tyson is a company that includes beef and pork. [That understanding] just tipped the scale in the last couple of years where the association was with Tyson rather than IBP. We decided, ‘Let’s take that knowledge, let’s leverage the new logo and create the Fresh Meats Team identity’ with IBP as a flagship brand (IBP Trusted Excellence pork and beef for foodservice). The corporate brand (the blue arrow) keeps us at least once removed from what the consumer identifies as just chicken. [With the new identity effort,] Fresh Meats is recognized as a key part of the corporate identity. That’s critical because of how different our business with beef and pork is from poultry — but also different from anything else in the world. Our real effort here is to take the Tyson identity and extend it to the Fresh Meats Team so people know that there is a separate unit that focuses on beef and pork, and use that as a jumping-off part to create an identity for our team. Meatingplace: What metrics are you putting against the effort? How will you know if the campaign is successful? HARRISON: We’re going to measure awareness and engagement and ultimately a market share or price appreciation benefit. We know that for IBP, [the commodity brand], it’ll trade at marketplace levels. But with our messaging around being the beef and pork experts, we’re bringing a product that [has a value-add] at a commodity level. On top of that. there’s a service component to being the beef and pork experts, whether that’s information, on-time deliveries, order specs, order fulfillment, consultation on merchandising or product cutting. We have expertise here and we [want to allow] customers to see that we should win the ties. We also want to take our Fresh Meats portfolio and say we have all of these other things as part of our product offerings: ‘no antibiotics ever’ burgers, value-added Reuben corned beef, seasoned and marinated products. Ultimately we want customers to recognize that we’re here to take care of your everyday needs and your specialty needs. Meatingplace: How does the support for Tyson Fresh Meats operate with the company’s customer-facing beef and pork brands? HARRISON: The best way to visualize it is as a house of brands: The Tyson Fresh Meats Team is a roof over all those brands — including Star Ranch Angus, Open Prairie Natural, Supreme Tender Pork, Chairman’s Reserve Beef — and the foundation that the house is built on is the IBP Trusted Excellence brand. Especially with the IBP brand, there’s enormous international equity. That will be, over the course of the next three to five years, an additional element that we take on so that we leverage the value-add in the IBP Trusted Excellence brand and introduce other value-added products to international markets. The most recent round of customer surveys shows that they recognize not only Fresh Meats as part of Tyson, but also recognize that partnership and collaboration is a critical element of the business they do with us. Whereas in the past [customers would] have the skill set [to get from Point A to Point B in the sales and delivery cycle], now they’re looking for a partner to help them with that. That’s the perfect way for us to position ourselves, to be that partner to help them find a way to grow their business.